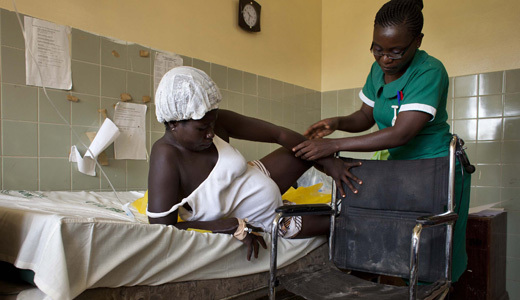 Since it is a community based clinic the Nurse midwives sometimes attend to births in homes. They also provide physical and emotional support during labor as well. As needed, they perform episiotomies and administer medications before, during and after delivery. Other general duties will be assigned such as Observing procedures, Undertake office administration, health data recording and storage, taking care of patients reporting for out-patient care or on admission monitoring recovery, checking blood pressure, weighing babies helping with first aid treatment. Our health care centers also run different programs on health education, basic prevention, nutrition and sanitation. Health Volunteer job also cover these areas as many hospitals also work in coordination with the local communities, presenting different programs on health education, basic prevention, nutrition, and sanitation. projects offer a wonderful opportunity for volunteers and students to be acquainted with the existing health issues and challenges of delivering health care in developing country like Ghana. Volunteers will definitely gain valuable insight into Ghana culture and will have the opportunity to improve on skills in a variety of areas in health care.